I was out of town for the past weeks to attend an advertising conference held in Makati sponsored by the Advertisers and Suppliers Association of the Philippines (ASAP). The two day conference offered not just the latest trends in marketing and advertising (because as the theme of the conferece implies, its advertising beyond the basics) but good food as well. 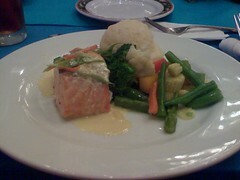 The first time I attended this conference, that was way back in 2004, the food was a marvel. 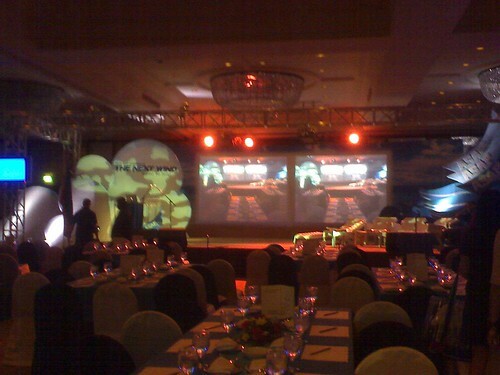 Buffet style with your choice of whatever gourmet food available. This year, the food was served per plate. Of course you can’t be like Oliver asking for seconds (although I wish I could) but it still tastes heavenly. I can’t hardly remember what each meal is called but I am so sure it looked marvelous and it tastes even better. Just take a look at these. 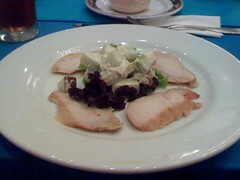 A plate of smoked chicken and waldorf salad for the appetizer and steamed salmon with vegetables in butter and mashed potato is really worth all the money I spent here. And take note, I did not include the dessert here. Advertising Landscape, Brand Equity and Valuation, Fundamentals of Digital Customer Relations Management, Trends in Graphic Design & Creatives, Personalized Printing & Customization, The Next Shot-Directing Photography, Trade Fair & Exhibitions, Events Experiential Marketing, The Language of a Jingle, What’s New on Radio?, TV Ads and Digital Media, Sponsorship Marketing, Advergaming, Rise of the New Media, and Corporate Social Responsibility. All of these topics stuffed in a two-day conference in a great place like Hotel Intercontinental in Makati, who could ask for more? So watch out for my lecture (required re-echo) on the same topics (but not all) for the BA Communication Arts students of UP Mindanao.